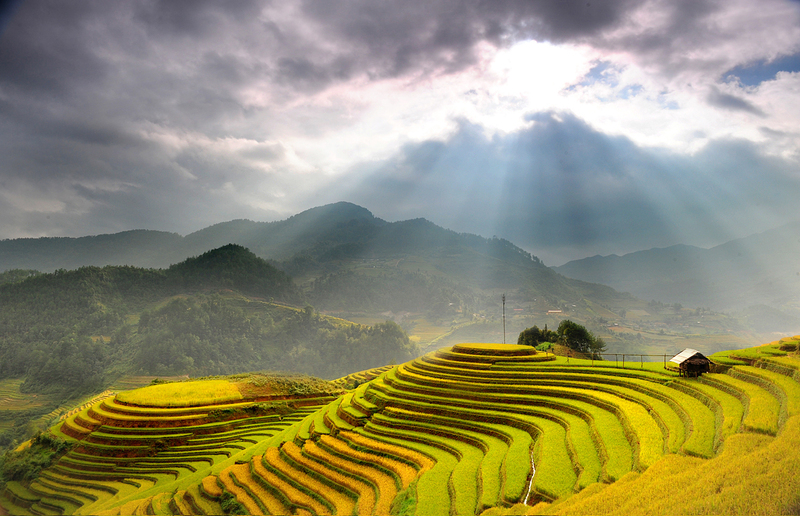 Mu Cang Chai in Vietnam is the mountainous district of Yen Bai province, about 280 km from Hanoi. Mu Cang Chai est well known by splendid rice fields in terraces. 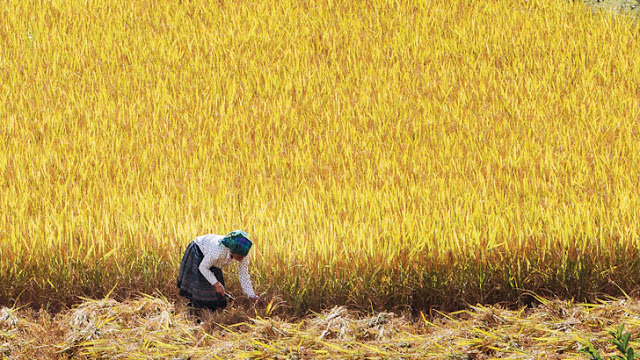 In each season of harvest, this isolated region in north of Vietnam welcomes thousands of visitors from all over the country. 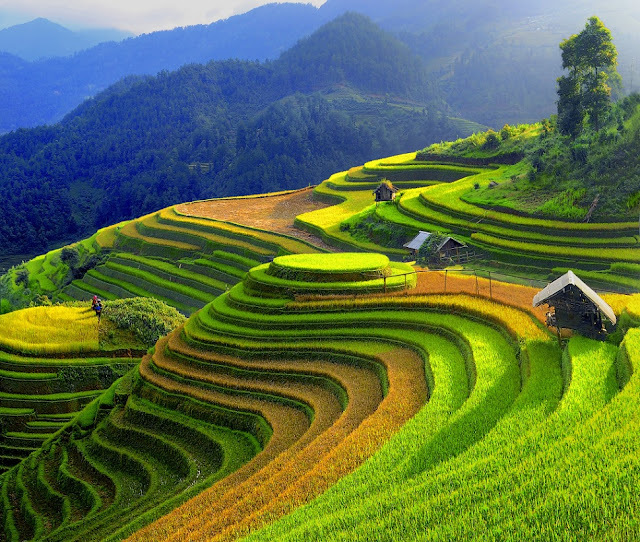 In the mountainous northern reaches of Vietnam lies a picturesque town inhabited by minority hill tribes and surrounded by soaring terraced rice fields. 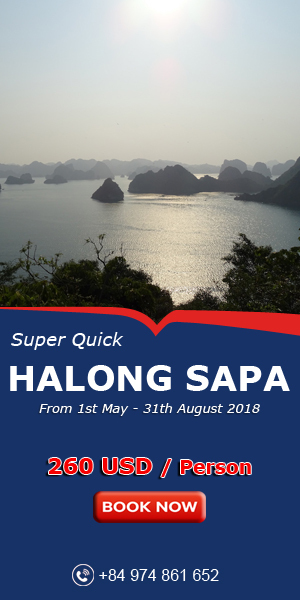 That description could easily be introducing Sapa, a well-known destination that has become a fixture on the Southeast Asia tourist trail. But this is Mu Cang Chai – largely undiscovered by guidebook-toting foreigners, the town offers the splendour of Vietnam’s famous rice terraces without the overbearing crowds. You do not need to go to the villages. 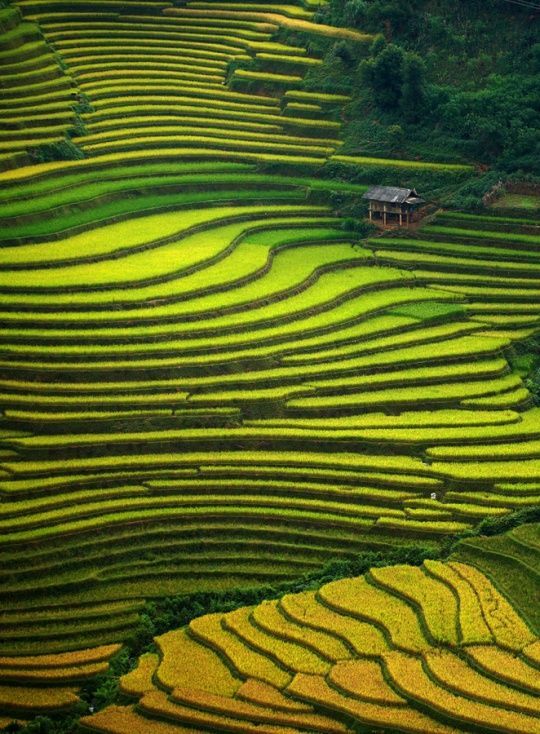 When you are on the road 32 between Mghia Lo valley and Mu Cang Chai, you have the opportunity to admire the terraced fields which are next to each other, yellow like gold until the horizon. 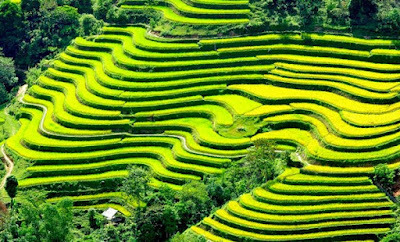 The majestic man-made terraces are carved into the mountains, with rice fields stacked in increasing gradients to create fluid lines. 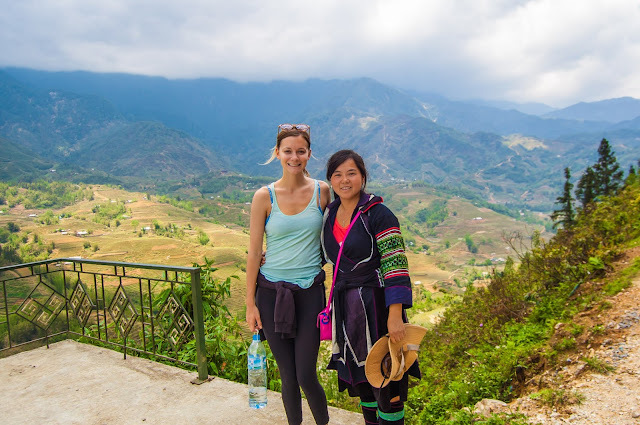 Located just 100km south of the Chinese border, Mu Cang Chai can be reached via a winding road northwest from the capital, Hanoi, and is situated 1,000m above sea level. 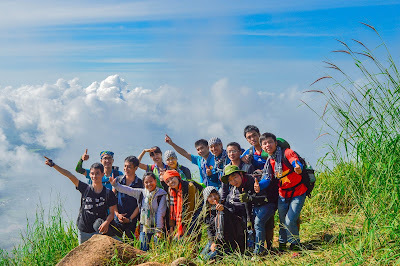 From February to April, the hills shimmer with dramatic beauty as the rice paddies, filled with water, create a mirror-like effect before turning a dazzling emerald green in May. 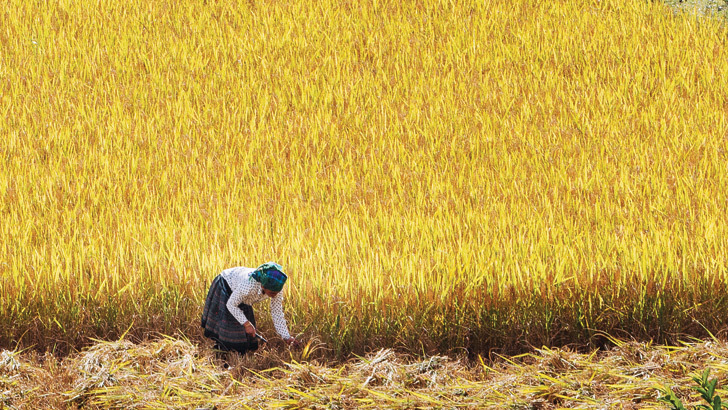 Once the harvest begins in late September or early October and the ethnic Hmong gather their crops, the terraced rice fields range in colour from golden to toast-brown. 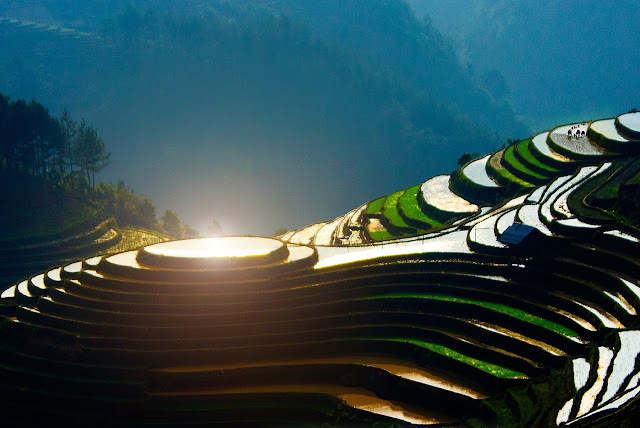 The rice terraces of Mu Cang Chai demonstrate the ingenuity of the human hand in the mastery of nature to create the unique beauty that captivates the heart of all travelers. So, in the foreign press: The Telegraph wrote: '' The fields in terraces in Vietnam create the spectacular, green… landscapes in the world '' by comparing it with the well-known tourist destinations in the world.